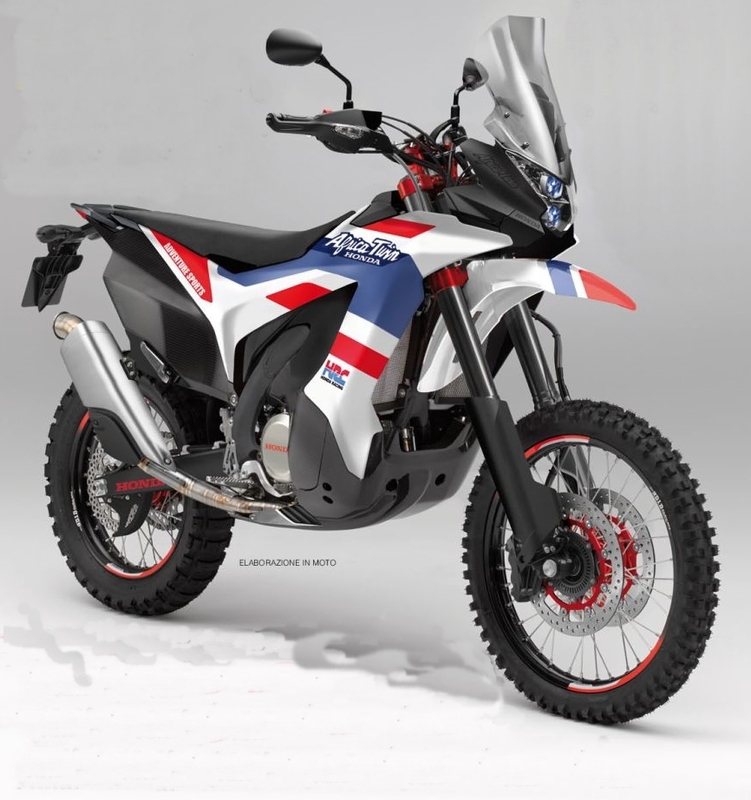 By now we have at least five renditions for what the New Africa Twin will look like based on rumors that Honda will bring this bike back to the market in 2015 or 2016 (if you want to read more about each version, read the post on this link). 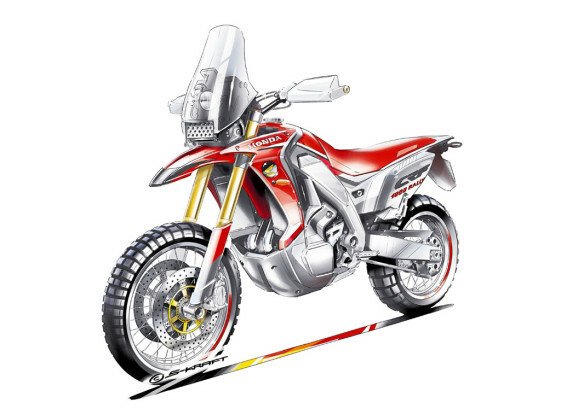 Motorrad’s version (Germany): Dubbed CRF 1000 it is based on Honda’s excellent 450cc machine used in the Dakar races. In Moto (Italy): Somewhat similar to Motorrad’s version, but with a front fairing more similar to the CB500X and NC700X. MCN (England): Replica of the original, including the double round headlights and gold rims. 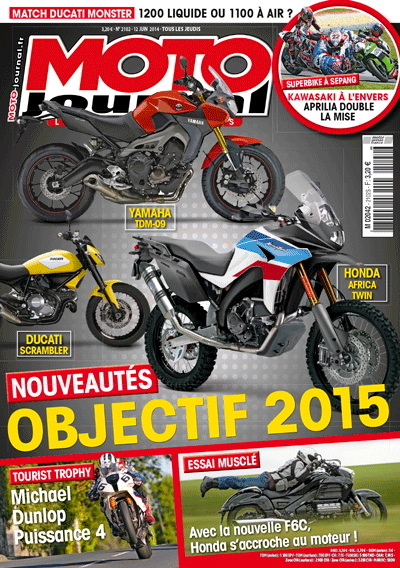 MCN’s rendition of the New Africa Twin. Moto Journal (France): Similar to In Moto’s rendition but with headlight and bash plate that seem to have been copied from the KTM 1190. EnduroPro (Spain): A mix between the MCN and the In Moto versions. But the motor on this drawing is not very realistic and also does not look like a parallel twin. Although EnduroPro’s text indicates they believe the bike will be a parallel twin. Your criteria could be to select the one you believe is more likely to be what Honda is thinking about, or the one you like best. 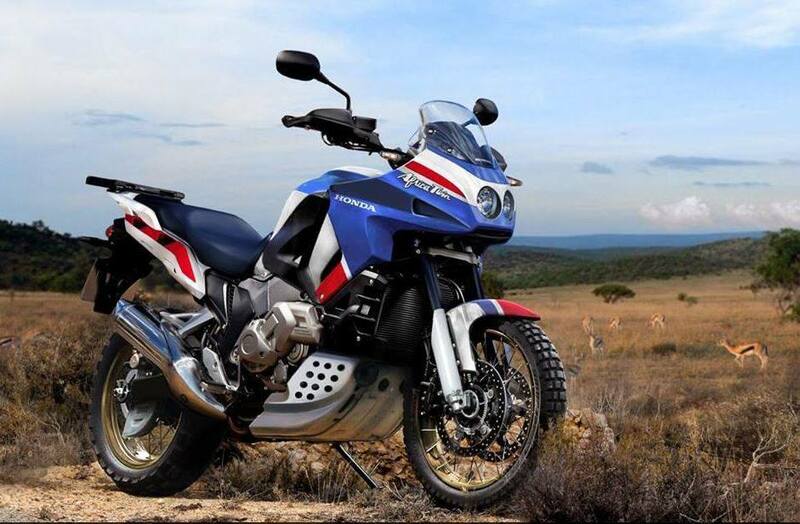 This entry was posted in Bike Reviews and tagged Africa Twin, New Africa Twin, New Yamaha XTZ 700 Ténéré, Ténéré. Bookmark the permalink. 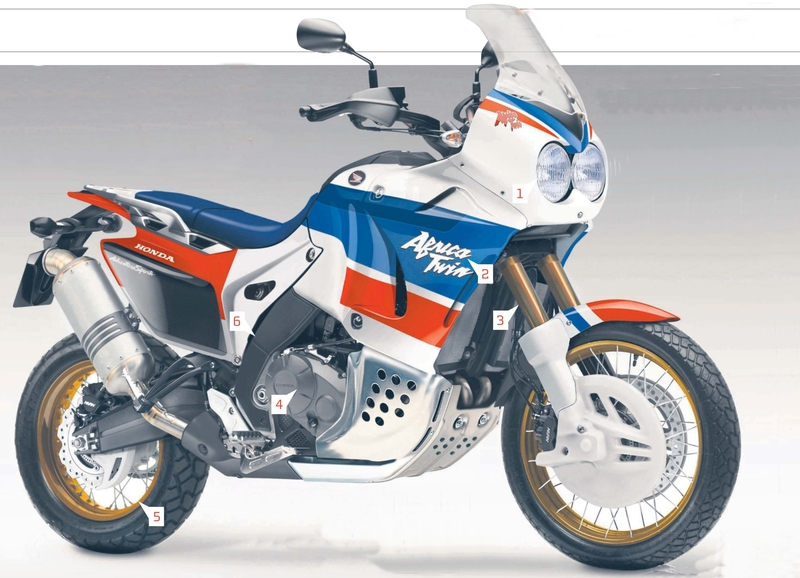 1 Response to Poll: What is your favorite rendition of the New Africa Twin?